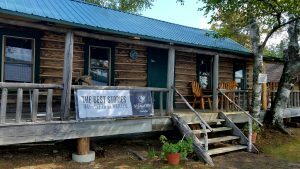 It’s not often I come across an opportunity that I can pass along to our subscribers that gives you an chance to experience a fantastic hunt with great lodging and incredible meals, and offer a discount to boot. but my friend Nathan Theriault Has offered a chance for you to book a hunt this fall for $300-$400 off, depending on which option you choose. I have been on this hunt and I can highly recommend it. 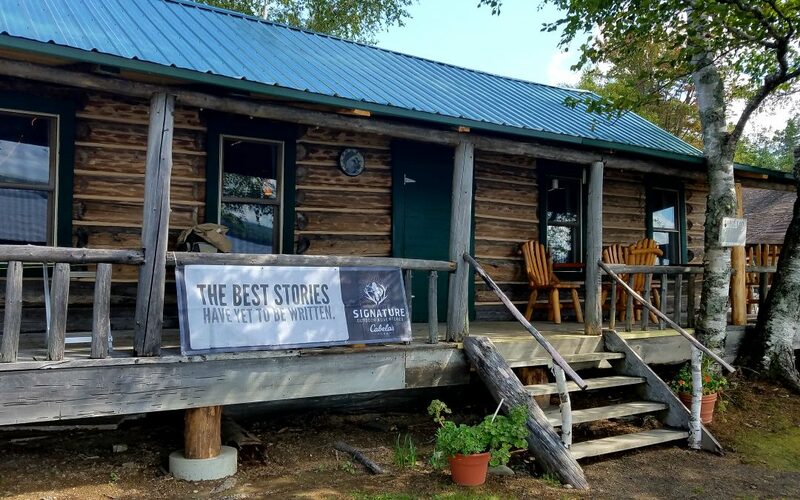 I love the natural beauty of the camp, of Eagle Lake itself, the history of the place and of course the incredible dining in a historical lodge that has been a destination of many Hollywood celebrities who want to get away from it all, and of famous outdoorsmen such as Teddy Roosevelt. 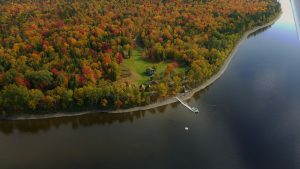 The hunt is held out of Eagle Lake Sporting Camps on the shores of Eagle Lake, Maine and it’s in the classic northern Maine wilderness but has all the comforts and great bear hunting. They do kill some really big bears, but you are really going there for the overall experience and to have a shot at a nice representative bear. A real giant might be a bonus. Just a note on why these hunts are available at this price. Cabela’s has been booking hunts for OMM outfitters but as I am sure you have heard, Cabela’s was bought out by Bass Pro Shops which left a lot of outfitters caught in the middle. You may never see a chance like this come along again to get a discount on a highly desirable hunt. I have experienced this hunt and I can highly recommend it. We strive for quality and not quantity taking very few bear hunters per week. Choose OMM’s exclusive Boat Access black bear hunt to go by boat to your stand and enjoy the solitude of a hunt within the Eagle Lake State Reserve. Remote bear hunts on almost 100 square miles of exclusive territory. Rifle, Pistol, Black Powder, Shotgun, and Archery bear hunters accommodated. Baited bear hunts start the last week of August – Hound hunts start in late September and continue into October. Trail cameras are utilized by bear guides to enhance success. Private channel, 5-watt, 2-way radios for direct communication with your black bear guide. Bear Guides have 50-watt radios in their vehicles. No needlessly long waits in your bear stand. Comfortable lakeside log cabins with private bath – on the waters of 55,000 ac. Eagle Lake. Fine cuisine is served in the historic dining room – Maine lobster, prime meats and much more. 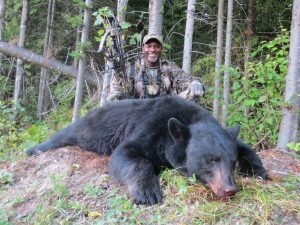 High quality black bear hunts, reasonably priced and ideally located. New in 2018! – Non-stop United Airlines jet service from Newark, New Jersey to Presque Isle (PQI), just 45 miles from camp.